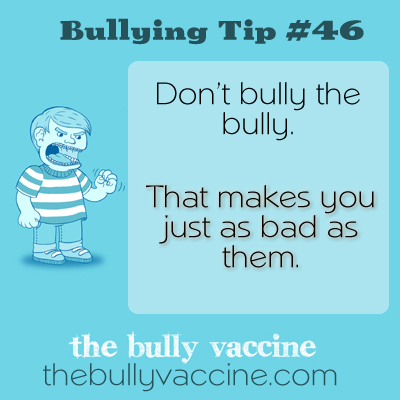 Bullying tip #46: Why intelligence and compassion trump bullies every day. That makes you just as bad as them. Don’t stoop to the level of a bully. Adding more misery to the world is not the solution. You need to be better and smarter if you are going to be more effective.